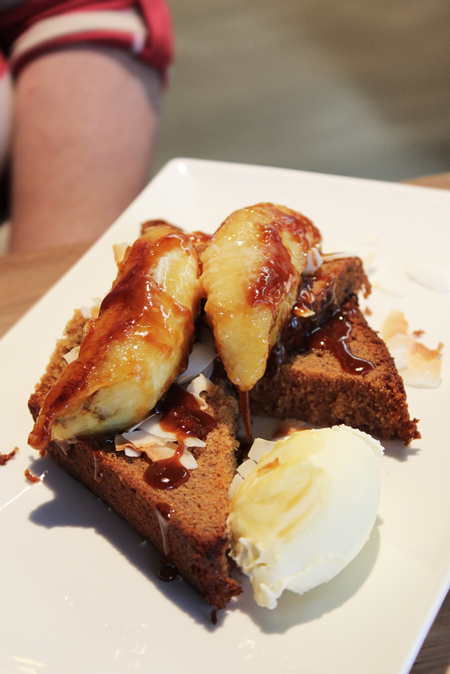 Farmers Daughter serve up some of the most decadent banana bread you'll ever lay eyes upon. The two thickly cut moist slices of banana bread ate topped with caramelised banana and drizzled all over with a sticky caramel. The farm house cream was fresh and cut through the richness of the other elements. This alone would have been a delicious breakfast, but then there's the toasted coconut, thrown in giving the whole dish a crunchier element. If you prefer a lighter way to start your day the banana bread isn't really for you, it's a full on breakfast with those with a sweeter tooth in mind. At $12.50 it's a cheap way to start the morning with something special.